I shared with you recently the exciting news about my first solo exhibition (ever) which will take place in Tokyo in May (in two weeks!). The project has been in the pipeline since last Christmas, and I have been working on it intensively ever since. It's good to remind you all about the exhibition - mark down your calendars if you are in Tokyo, but today's post is more about the workshops that I will be giving during the exhibition. 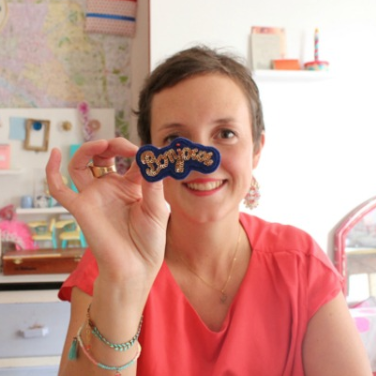 If you are a subscriber of my newsletter (not yet? click here to subscribe), you have received all the info last weekend, and hopefully already booked your spot! There will be three afternoon sessions and 6 spots for each session. 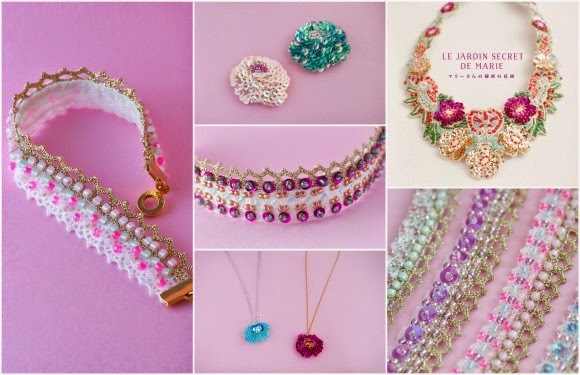 You can choose from three projects: a flower brooch, a bracelet or a flower pendant. Each session will last 2-3 hours and should be very enjoyable. You will spend the afternoon with like-minded people in a relaxing atmosphere, with music, laughter and refreshments at the end! How to book? you can book your spot by emailing Gallery Palette (info@gallery-palette.com). You can also email me at marie@etincellecreativestudio.com, or reach me on Instagram or Facebook. 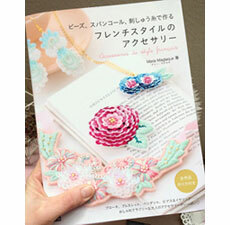 In this project you will embroider a delicate and colorful flower that will be mounted as a brooch. 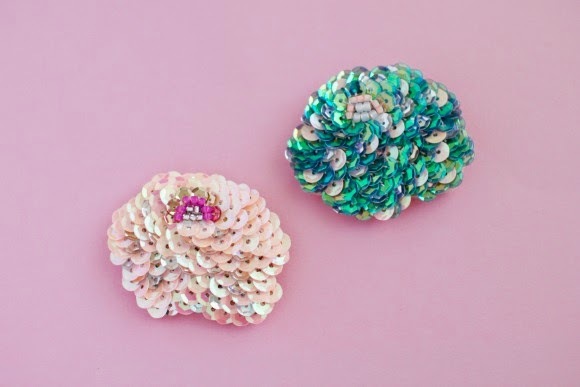 You will use sequins of various colours for the petals and beads for the center of the flower. This project requires patience and concentration and should be completed within three hours. Feel free to take longer if necessary! 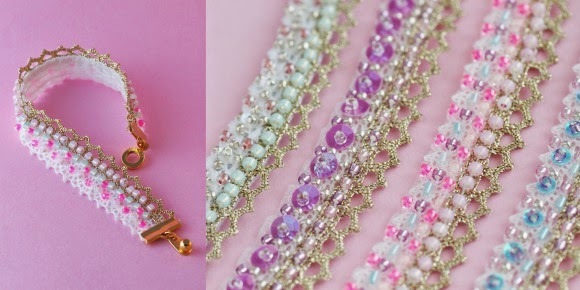 In this project you will create a bracelet starting from a lace base and using sequins and beads. 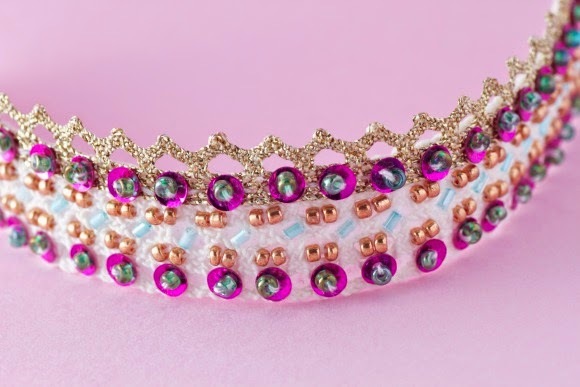 You will follow the pattern of the lace and of course the instruction to create the embroidery and your very own bracelet. This project may be the easiest of all three, and should be completed within two hours. Feel free to take longer if necessary! 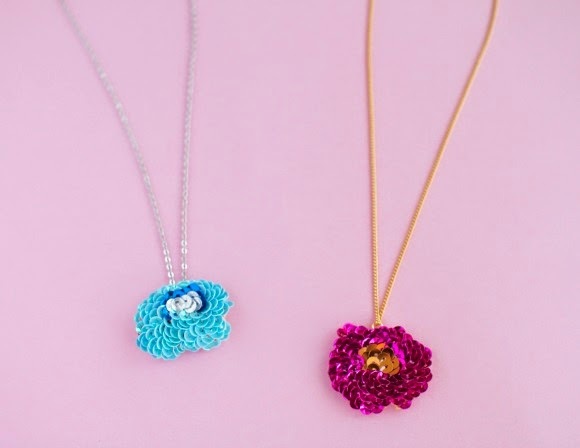 In this project you will embroider a delicate flower in the colour of your choice using exclusively 4mm sequins. The size of the sequins represents the main difficulty of this project. This project requires patience and concentration but should be completed within two hours. Feel free to take longer if necessary! At the time of writing this post, there are only 10 spots left, so if you are interested in joining me in May, book your spot today ~ thank you!